There was a bit of movement offshore this morning with a Velvet Scoter, two Shags, six Great Skuas and a Sandwich Tern of note along with good numbers of Red-throated Divers, Gannets and auks. The new islands in front of Firth Hide on the RSPB Reserve are providing plenty of opportunities to study gulls. 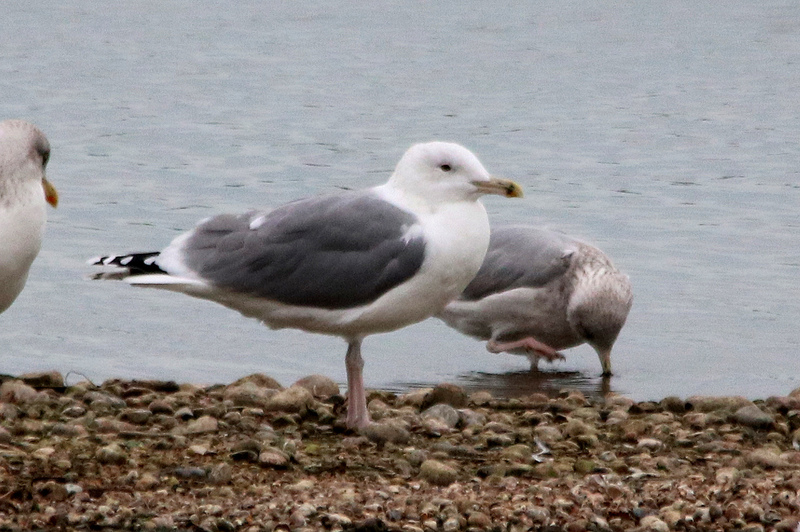 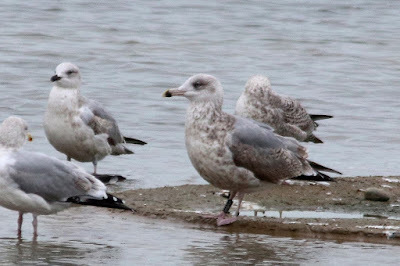 Today there were at least seven Caspian Gulls, an adult Yellow-legged Gull and a Herring Gull which had been ringed on Hornoya Island in the Varanger Fjord and almost as far north as you can get in Europe. 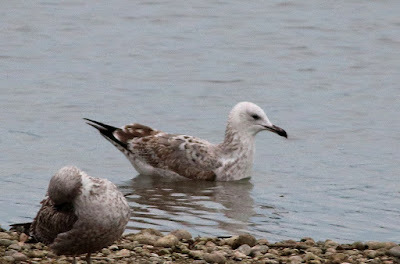 Weather conditions were not great for photography but a selection are shown below. 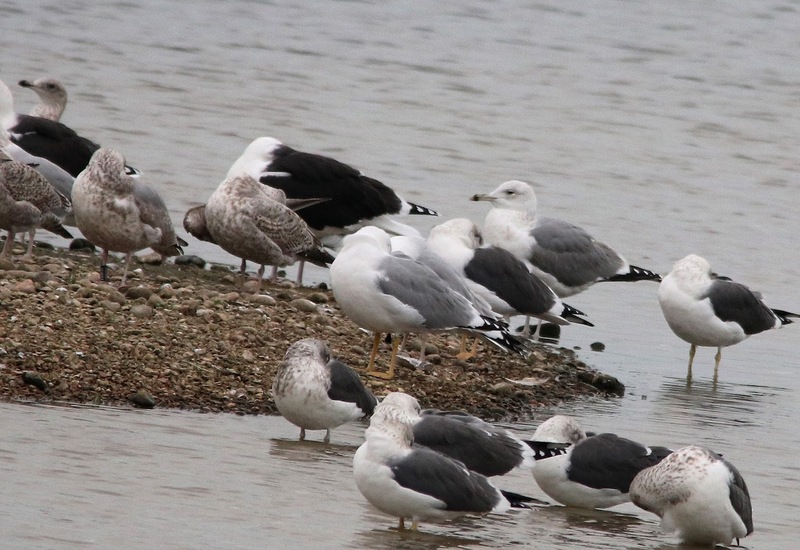 In this image is a Caspian Gull, a Yellow-legged Gull and the norwegian-ringed Herring Gull amongst Lesser Black-backed Gulls, more typical Herring Gulls and Great Back-backed Gulls.